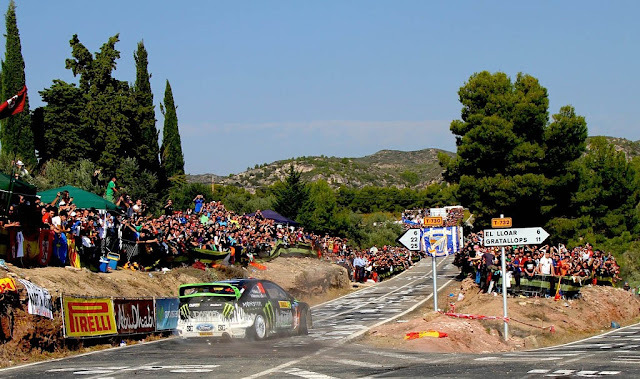 Monster World Rally Team’s Ken Block and Alex Gelsomino finish Rally de España 9th overall, earning them their first WRC points, making Block the second American driver to ever score points in the championship. 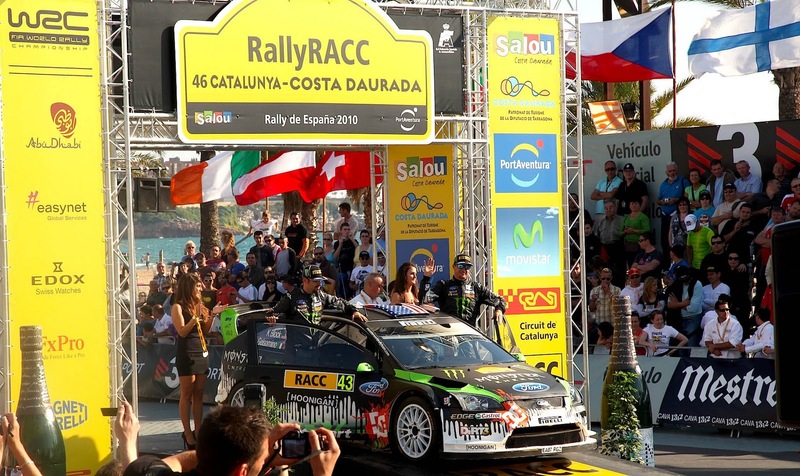 Coming off a 12th place finish at Rally France, Monster World Rally Team’s Ken Block and Alex Gelsomino entered Rally Spain with one goal—finishing in the top 10, subsequently earning their first World Rally Championship points. And right from the first stage, the two were on pace to do so. Day 1 of the Catalunya-based rally offered something different to the drivers: gravel stages. To celebrate its 20th year as a WRC round, Rally de Catalunya–Costa Daurada reverted back to its original mixed-surface format—a unique challenge the WRC hasn’t seen since 1996—which actually gave Block and Gelsomino an advantage for putting down some fast Leg 1 times. “It felt great to get back out on gravel,” said Block. “While our speed is starting to improve on tarmac, we still have very few sealed surface miles under our belt and are only at the beginning of our development phase on paved stages. So we are still most confident on dirt.” And the times proved it. On the first stage of the rally, Block managed to keep only 1.6 seconds per kilometer off the stage winner and seven-time World Champion Sebastian Loeb. The team then maintained this time per kilometer off the top five drivers throughout the leg. The day’s steady push landed the American team in 9th overnight, leaving them in a solid position to attack the next two days on tarmac. The following day, Block and Gelsomino’s momentum was quickly thwarted with an off on the morning’s second stage. “We miscalculated a turn during recce and hadn’t noted it as a decreasing radius,” said Block. “By the time I realized this, it was too late to correct and we went off into a field.” While they were able to get the Monster Energy Ford Focus RS back onto the road, a small grass fire, caused by the hot exhaust, had to be extinguished before moving on. The entire excursion cost Block and Gelsomino an expensive 4 minutes, which, at the end of the rally, resulted in the difference of two positions and four championship points. Heading into the final day of the rally, Block and Gelsomino sat 10th overall, but with Citroën factory driver Sebastien Ogier’s sights set on their points-scoring position, after his Day 2 crash, it wasn’t going to be an easy Sunday. “I knew with Ogier trying to hunt us down, we couldn’t continue with our Day 2 pace. We had no choice but to step it up,” said Block. Over the final four stages, Block and Gelsomino, for the first time, showed their gravel speed and confidence on tarmac, managing to keep within 1.5 seconds per kilometer off the Frenchman who is currently sitting 2nd overall in the championship, and holding off his attack in the process. The Monster World Rally Team finished Rally de España 9th overall, which earned Block and Gelsomino two championship points. The last American to score a point in the championship was Block’s mentor John Buffum, both at the 1988 Olympus Rally and the 1984 Acropolis Rally. “Even though it may have taken a few more rallies than I would’ve liked, I am super stoked on our result in Spain, and I am happy this first hurdle of earning WRC points is now behind us,” said Block. 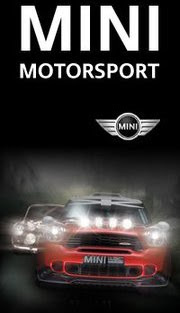 The next and final WRC round of the year for MWRT is Rally Great Britain. Until then, follow the team at monsterworldrallyteam.com.